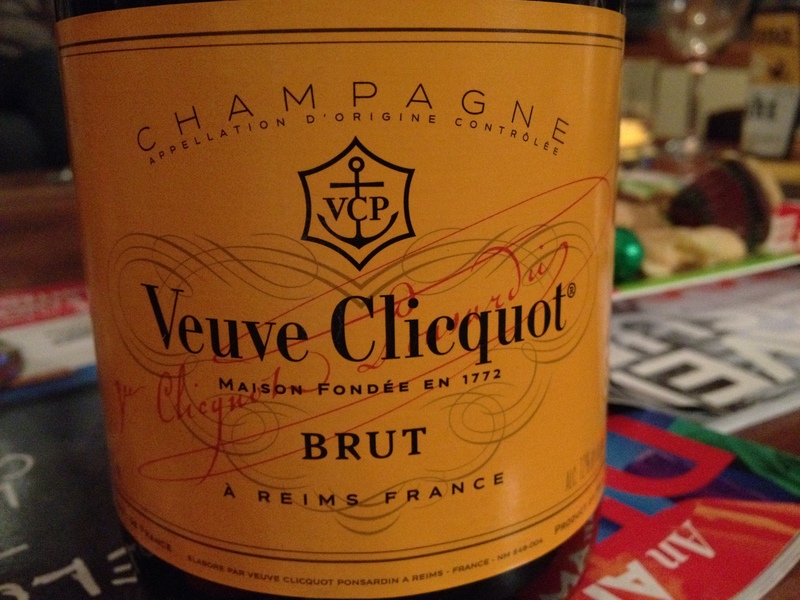 We had this delicious champagne–a favorite of Bec’s–to celebrate the start of 2012! Having slipped away to upstate New York, we were staying at the “Sky & Water House” near Woodstock for the occasion with our friends Angela and George. It was a nice place and we enjoyed thoroughly the peace and the quiet afforded by the place. Veuve is amazing under any circumstances, and certainly a great treat to celebrate such a milestone as the coming of the new year. Our dinner consisted of steak (grilled on our deck! ), fresh asparagus, and even sweet potato fries. All were great but none so much as the champagne and the New Year’s celebration.